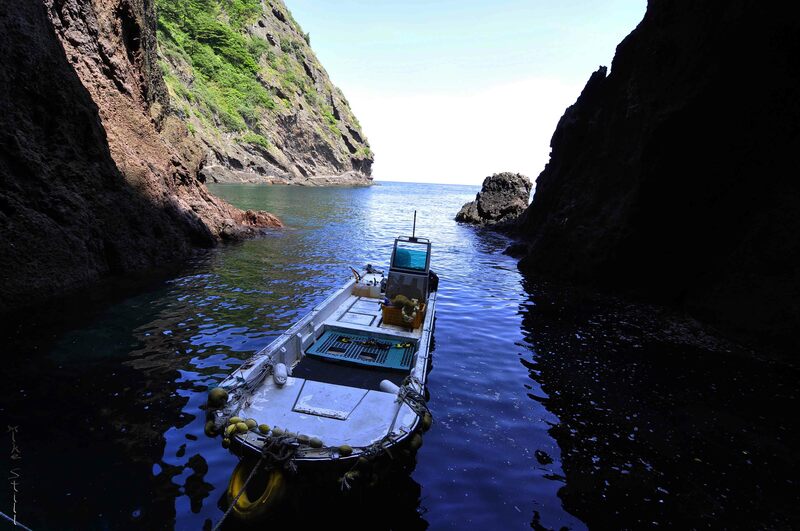 Exploring Korean exotic islands is quickly turning the summer of 2015 into one of the best of my life! 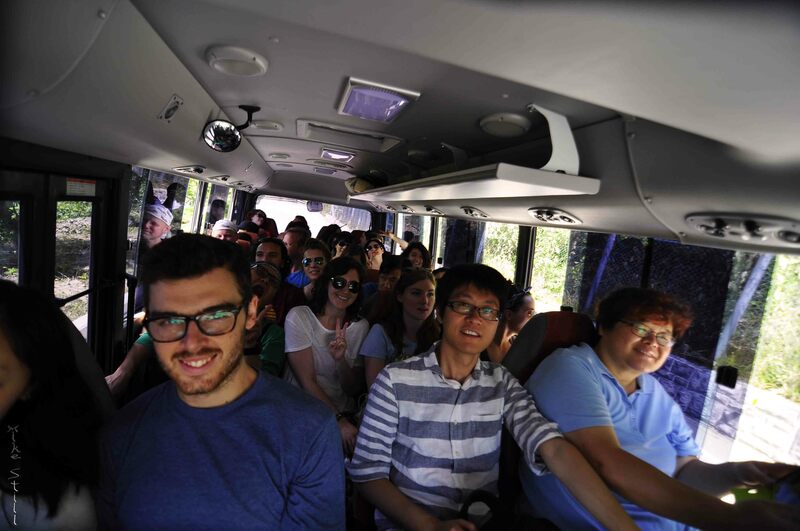 We jumped on the Seoul Hiking Group bus and headed to he eastern port of Donghae before setting up tents on the beach and waking up to the waves. The 3 hour ferry from Donghae to Ulleungdo was a bit choppy; as the swells churned a handful of stomachs we were graced with a half dozen dolphins dancing through the waves! 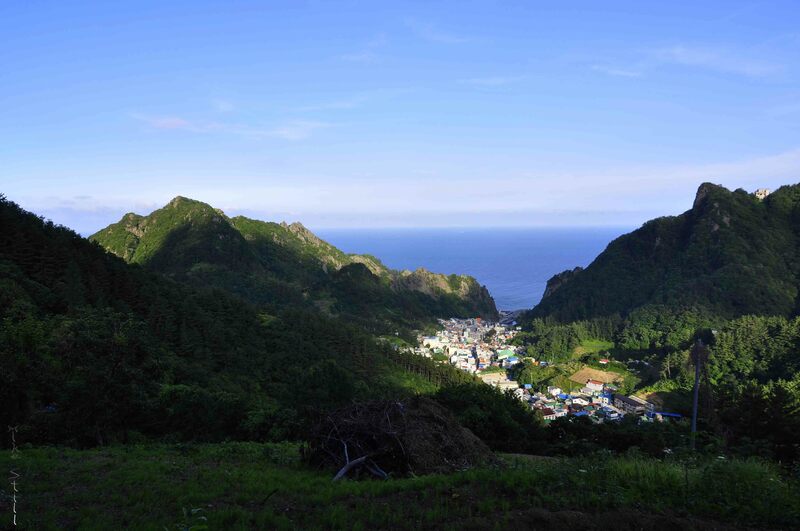 This foreshadowed an amazing weekend full of unbelievable landscapes that make Ulleungdo an exotic paradise. 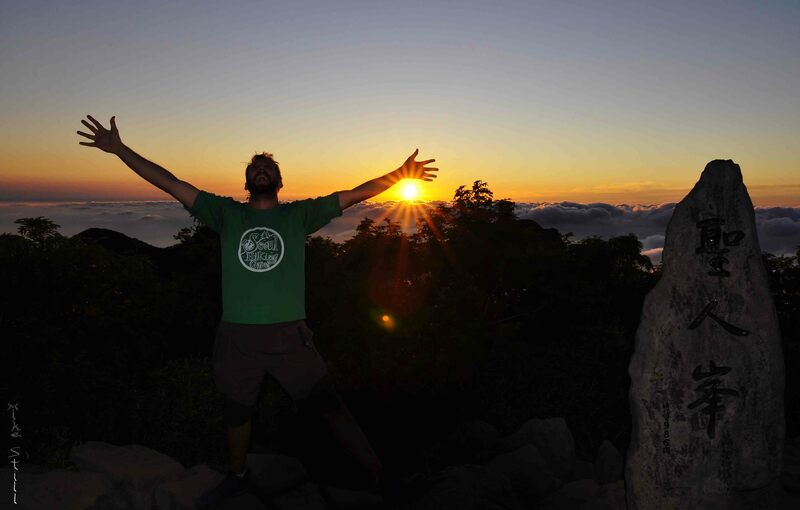 Best Sunset in Ulleungdo Korea! 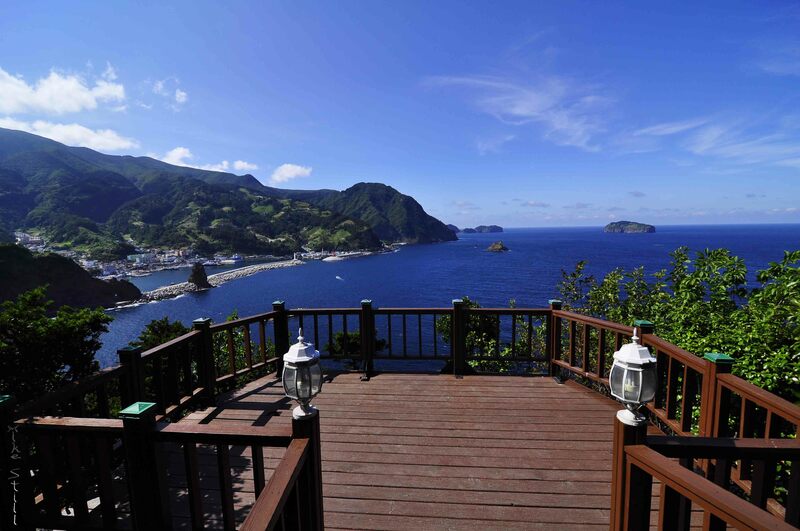 Are you coming to this magical island and looking for accommodation on Ulleungdo? 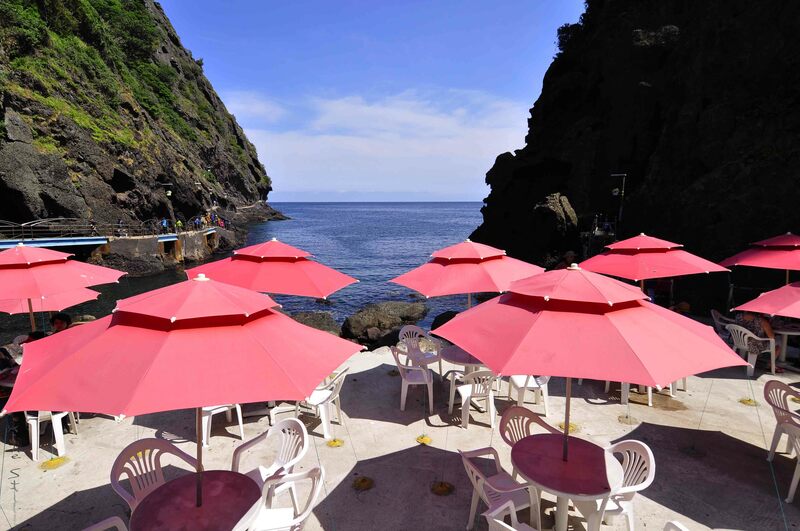 Be sure to reserve your Ulleungdo hotel ahead of time because there are only a few online options and they often sell out 2+ months in advance! 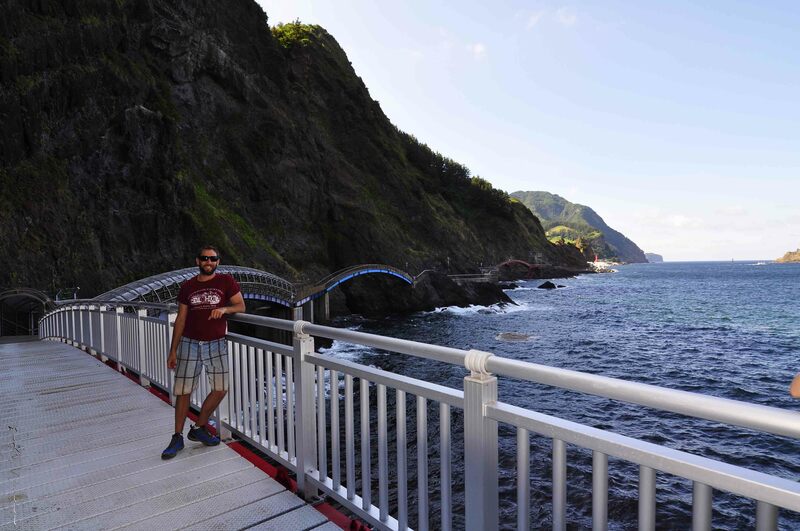 After a quick local meal (including Ulleungdo’s famous pumpkin makkeoli) we headed along the seawalk. 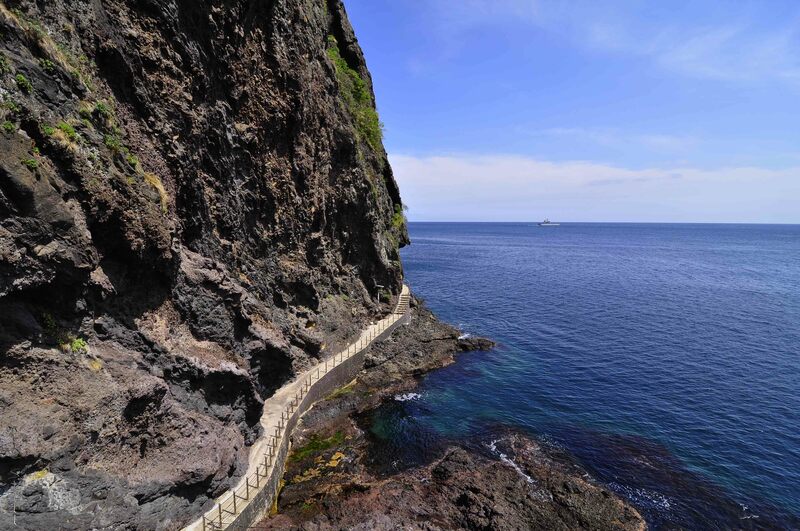 The walkway from Dodong and Jeodong hovered above the waves with tons of scenic lookouts and a few shops selling fresh shellfish. We walked along enjoying the scenery before taking a detour through a bamboo forest to one of the best observation points on the island. 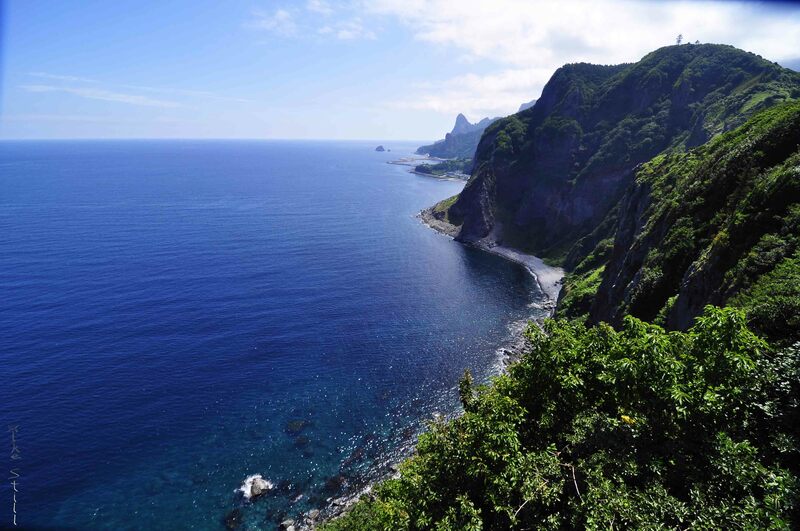 Walking along the seacoast is a must for anyone visiting Ulleungdo. The breathtaking views combined with light, fresh, salty air invigorate and inspire you. This place has to be good for your health. Everything is good for your health in Korea so this paradise must be too. Right? 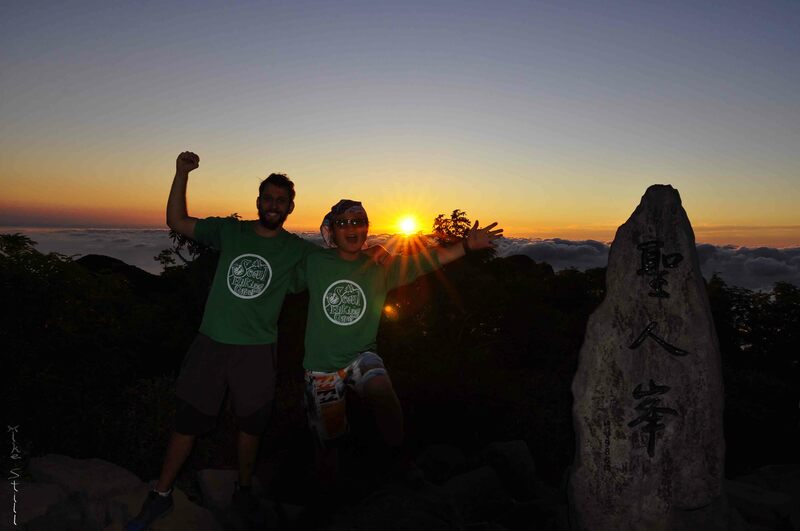 After the seacoast we scrambled up Seonginbong’s 986m peak to catch sunset from the top of UlleungdoKorea. The hike was harder than expected with many steep stretches. Next time I go up I’ll have to ask Warren for the secret entrance his cabbie found after he went back to check on our latecomers. 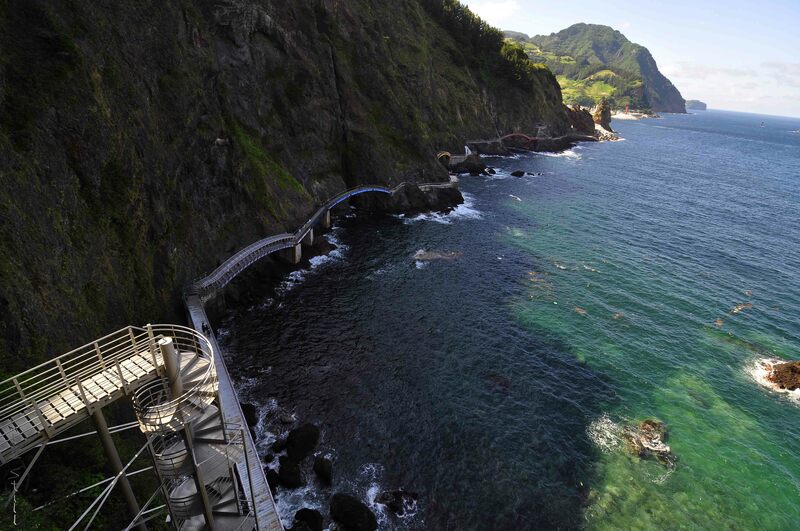 Roughly 4km of trail on Ulleungdo Island South Korea are interspersed with a wooden bridge and a few rock staircases before finally reaching the stunning views from above. 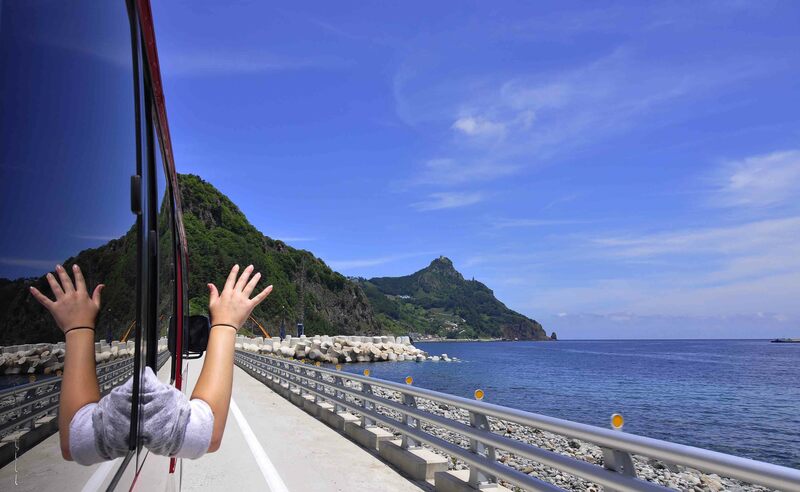 Ulleungdo is only about 10 km on its longest side giving Seonginbong an amazing 360 degree view of vast ocean landscapes. 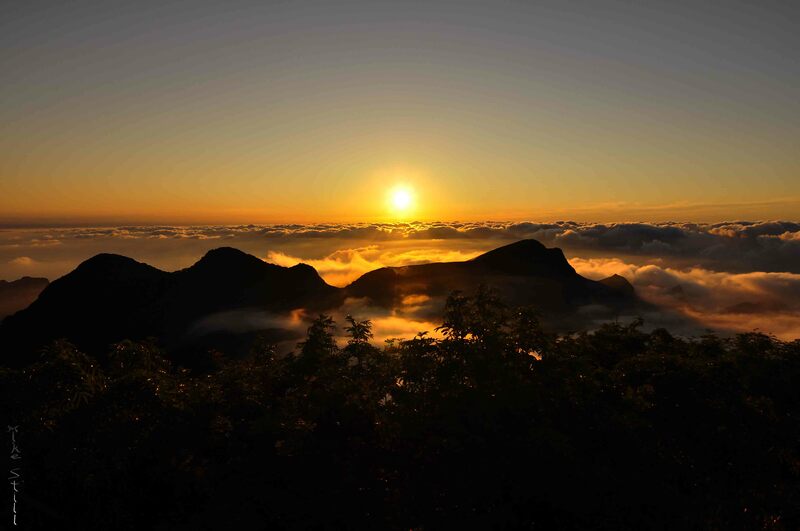 Reaching the top of Ulleungdo Island at 7:30pm we were blown away by the stunning scene below. Somehow we snuck above the clouds and watched that orange orb shrink under the horizon spraying radiant hues along the clouds. Words can’t describe how amazing it was so just look at the picture of what might be my new favorite view! Hiking down we broke out the flashlights and enjoyed a lively conversation while imagining a delicious meal down below. 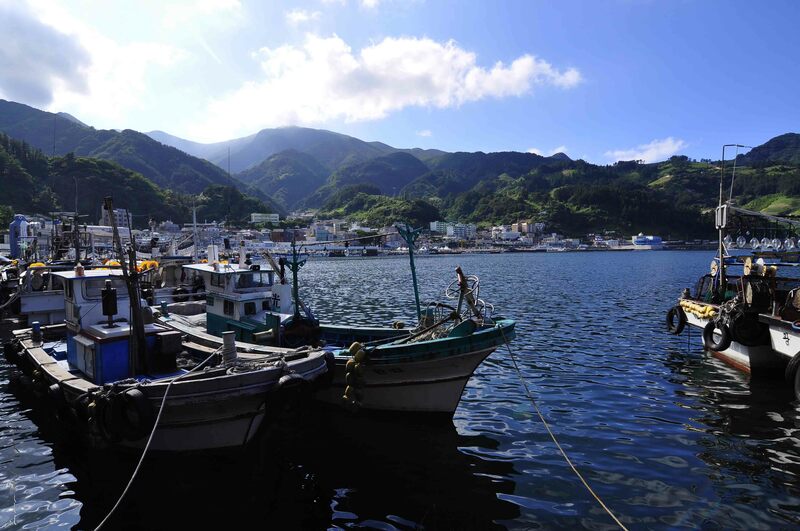 Our first day on Ulleungdo was magnificent and a night at the fishmarket got us ready for another awesome day touring this paradise. Waking up bright and early the next morning we ate a delicious breakfast of bacon, eggs, sausage and veggies before jumping into a bus for a few hour tour. Driving along the water was almost as beautiful as our seacoast stroll the day before. 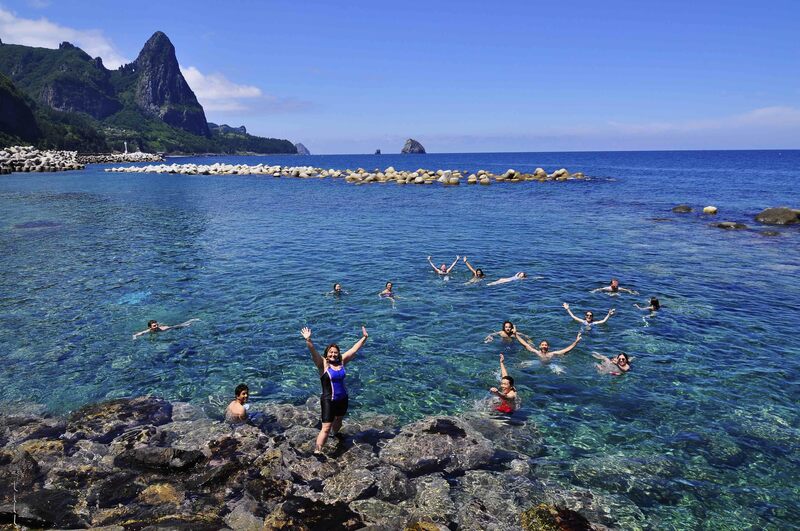 The greens and blues sparkled in crystal clear water reminding me of a mystical dream while the tour guide rattled off animal names for each rock formation. 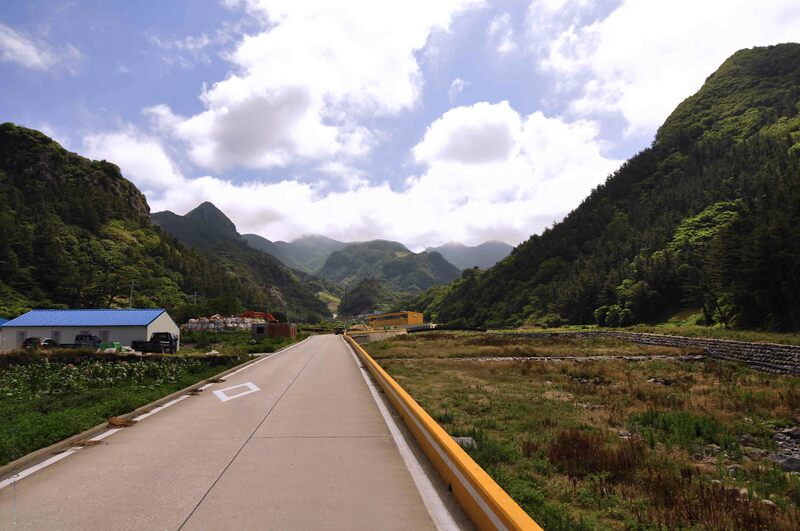 The road took us in and out of a series of tunnels before our first stop at a cable car. 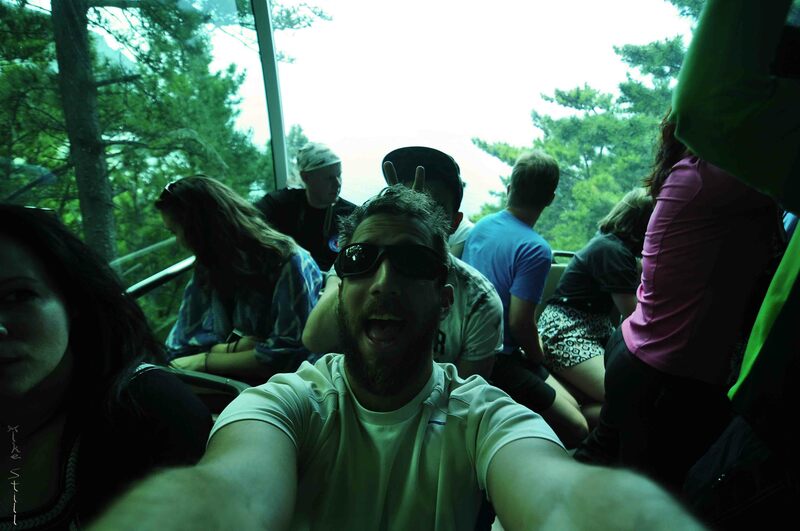 It looked more like a roller coaster from 6-Flags or Everland but moved at a snails pace up the mountain. 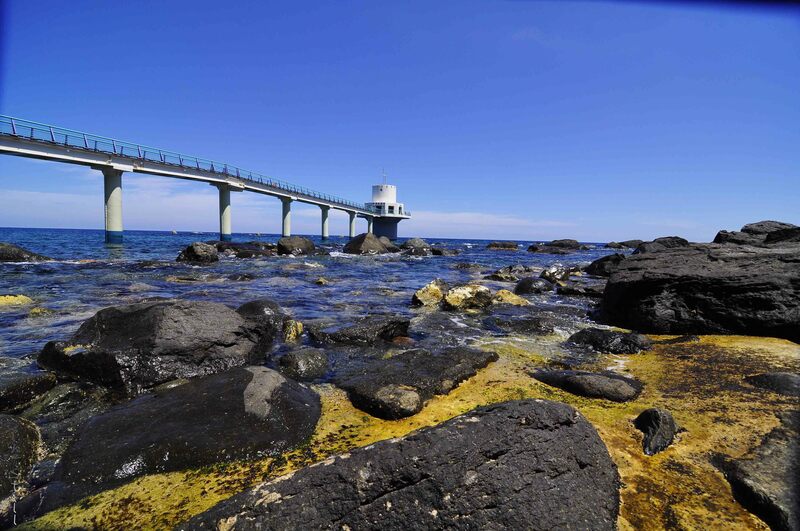 A 10 minute walk from the drop off brought us to yet another stunning observation point next to Taeha Lighthouse. 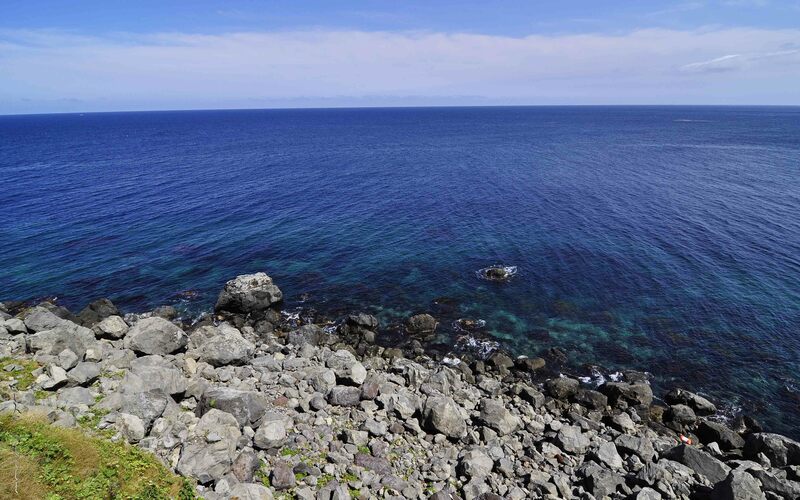 Hundreds of meters below the aquamarine waves crashed into volcanic shores creating yet another picturesque landscape. Packing back into the bus the tour continued to an underwater observatory. Visibility at 6m beneath the surface showed off dozens off fish and gave us all a refreshing idea. Moments later dozens of waygooks (foreigners) jumped into the water as I dreamt of Thailand. The views here were similar to my journey through the Andaman Sea but the water was noticeably cooler. No matter, I’ll be going back to those tropical waters in less than a month! 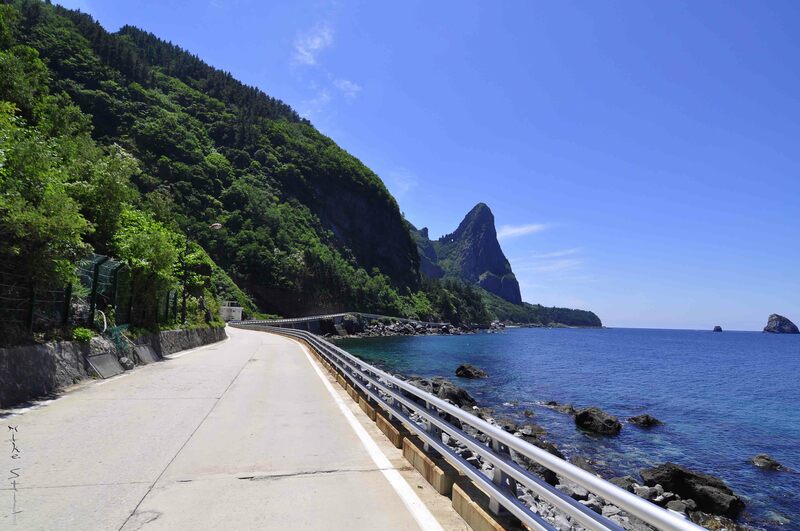 The next stop brought us through winding mountain roads and into Ulleungdo’s only flat land. 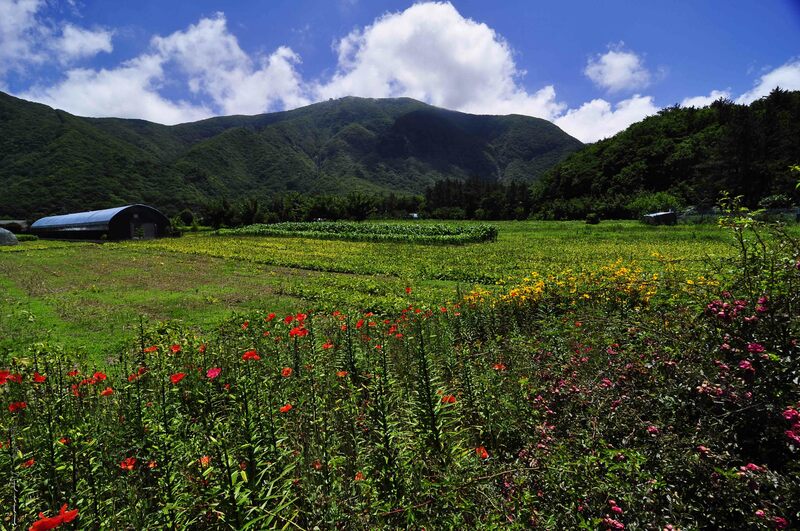 The ancient caldera from Ulleungdo’s volcano is now lush farmland surrounded by verdant mountains. 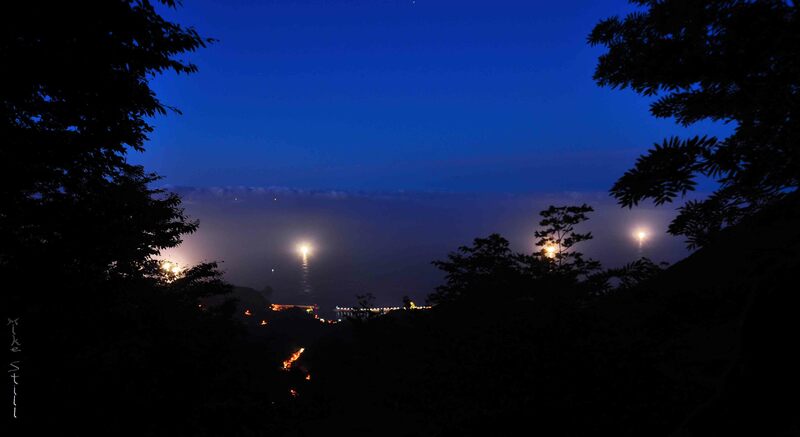 Clouds danced among the peaks as we stopped by two farms for a chance to try traditional Korean pancakes and liquors (pumpkin wine, herbal wine and a fermented berry tea) made from produce that only grows on Ulleungdo. Our last stop was a pumpkin store filled with breads and candies. They gave out free samples of a delectable pumpkin bread reminiscent of a less sweet American pumpkin pie and 2 types of candy. The chewy pumpkin jelly was delicious but I preferred the bread and harder taffy-like candy that had a slight nougat flavor. Everything in their store was no sugar added and somehow had just the right amount of sweetness to keep whet our palate before heading back to port for our long journey home. This unforgettable adventure ended with a half dozen Korean guitarist serenading us while we prayed for calmer seas on the way back. 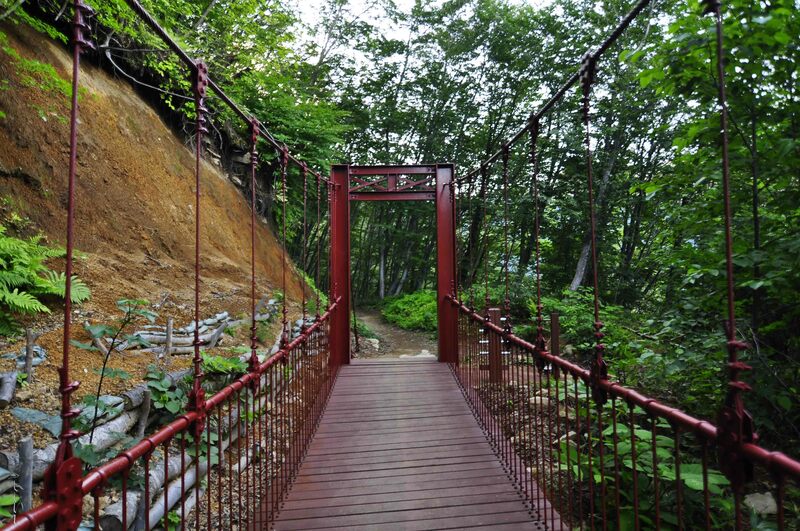 Korea has so many amazing places. I had no idea it was a worthwhile tourist spot until I moved here to teach 3 years ago. I’m getting ready to move on and everytime I re-read a post or hear a comment like yours I get nostalgic. The ferry from Lanta all the way to Phuket in one go would certainly do the trick. 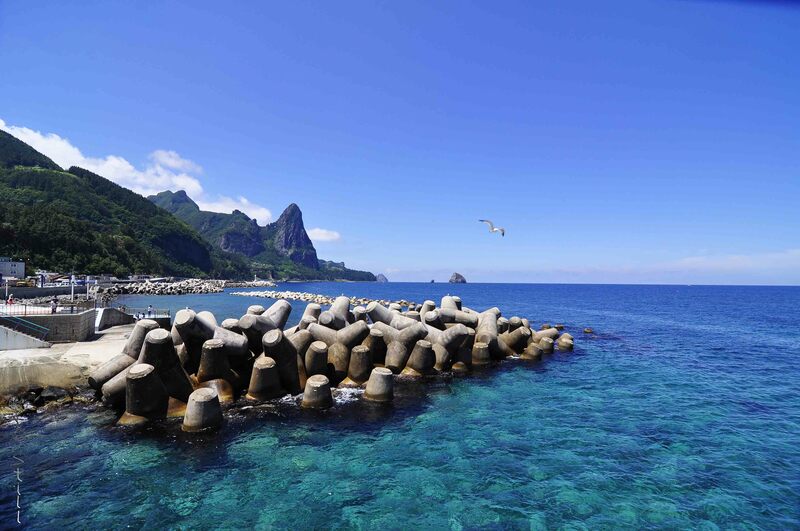 Its about the same length as the Ulleungdo one too.